Check out our Promotion Video! 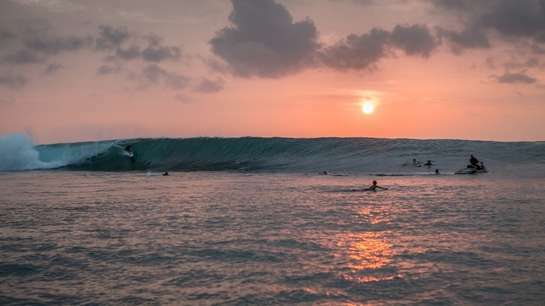 Yesterday evening, August 4, the best riders of the 2014 Rip Curl Cup Padang Padang, Bali had the opportunity to to ride the contest spot without the pressure of the contest. 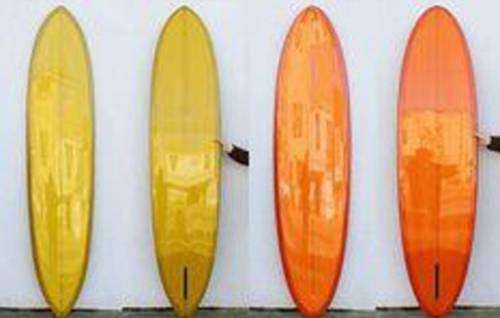 The guide to your first surfboard. The perfect board to learn how to surf Bali. Mini-Malibu, Egg, Longboard, Fish, Step-up, Semi-gun, Shortboard? So many different shapes of surfboards, but which one is the right pick for you and what is the best board for Bali? Congratulations. 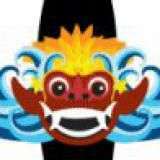 Bali barrel wiz, Garut Widiarta, signs new 3-year contract with Rip Curl. Loose boardies can be a problem. Even if you sometimes prefer to surf naked, the second you realize that you're loosing your trunks while facing the impact zone of a 10 footer, you probably wonder how this could happen. The answer is as easy as the solution. If the fabric of your boardies and ties get wet, they shrink. But there are ways to avoid an untight-tie-up-lace situation. Either wet them, before you bind them, or remember to tie them up again after you entered the water. Surfers travel. And travelling with your surfboard often means flying which also means that your baggage will be moved by people that consider a surfboard to be a mixture of an air matrace and a kanu. The result will be damage. Even if you are lucky, if you travel with your quiver, dings and cracks on your sticks will always be round the next corner. But there is one well-established method to bring the safety level of your crappy travel trolley up to the level of an high-class surfboard bag by the price of a box of cigarettes. Foam rubber insulation tube, used for heating or solar systems are available from your next hardware store for less than 3,-$ a piece. Buy 4 meters for a shortboard, fix them with duct tape and build your own diy custom sized protection bag! If you treat this construction gentle, you can put the foam frame several times on and off without taking the tape off or harming the stability. You can also cut a "pool noodle" in half. Tested and prooved! Medewi Surfspot, one of the longest lefthanders in Bali. Even though, Bali is known as the most consistent surf travel destination in the world, from time to time the swell gets to big or the wind blows our home beaches. But Bali would not be Bali, if there wouldn’t be an option! While the east coast of Bali can be a good option during rain season and for expert surfers, the west coast can be in dry season. 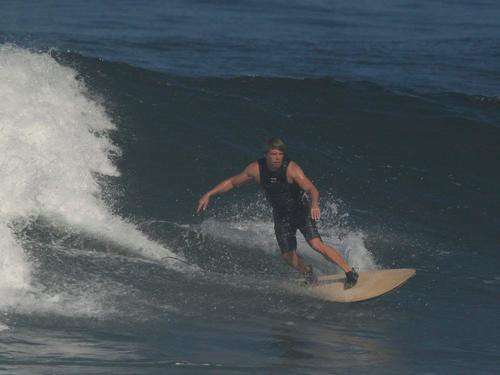 Especially the famous lefthand pointbreak Medewi is always worth a visit, when the breaks around Canggu and Kuta can no longer hold the swell (10- 12 ft. and bigger). 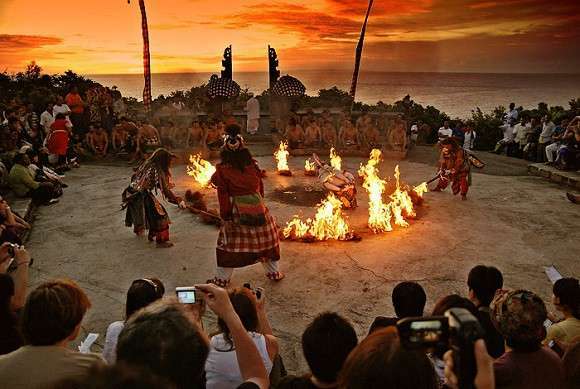 Cultural Daytrip to UluwatuInstead of a lazy weekend, most of our guests choose the option to join the Sunday Daytrip as we usually do not offer surf lessons/guiding during the weekends. The surf spots in Bali are anyway mostly too crowded during the weekends and our surf guides deserve a day off from time to time, too :). This time, we hitting in direction to the Bukit Peninsula with it's famous surf spots Uluwatu, Padang Padang and Balangan. One of our favourite destinations beside Ubud and Bedugul. After breaky we jump into the car, wiggle through Bali's weekend traffic (even not as crowded as during the week but still busy)...and tataaaaaa the beautiful view on the lovely beach of Balangan opens up in front of us.Balangan is a close to be perfect lefthander and at the right condition one barrel after the other comes in, take care of the lip, this wave can hit you with a hard and massive lip. At smaller days a good beginners/intermediate beginner spot as well as long as you do not sit in the middle of the main peak ;). Always worth it, an Advocado-Chocolate-Juice in one of the nice Warungs right at the beach front meanwhile having a look at the surfers and at the waves out in the ocean. The next stop on the list Padang-Padang! No doubt: One of Bali's most famous waves. The little beautiful white sandy beach you reach easy by passing the temple area and going down the narrow stairs cutted through in between the cliffs. The waves are breaking close to the shore over a shallow reef. If you have the chance to see that spot at high swell conditions you know why it is so famous and why the Rip Curl Pro Event takes place there every year during July/August. This wave is just a perfect lefthand barrel! At smaller days you can enter there as well as an intermediate beginner (take care of the reef, booties might be a good idea) and surf Baby Padang the righthander of this fantastic wave.